The sun sets behind Mount Wilbur. To the left is the silhouette of Grinnell Point. 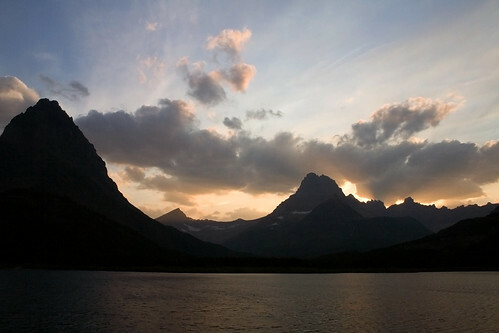 This entry was posted on August 26, 2008 at 7:31 am and filed under Glacier, Glacier National Park, Grinnell Point, lake, Many Glacier, Montana, Mount Wilbur, mountain, National Park, sunset, Swiftcurrent Lake, vacation, water.